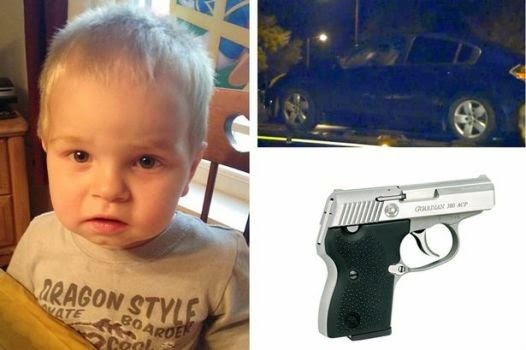 Two yr old Kaleb Ahles shot himself dead with his father's gun which he found in the glove compartment of their family car. The sad incident happened yesterday January 21st . The mum told Florida police that she and Kaleb's dad had been moving out of their home is Eastlake Florida and had left Kaleb inside the car briefly to pick some things when they heard a loud bang from inside the car. They ran to the car to find the toddler had mistakenly shot himself in the chest with a .380 calibre loaded handgun. 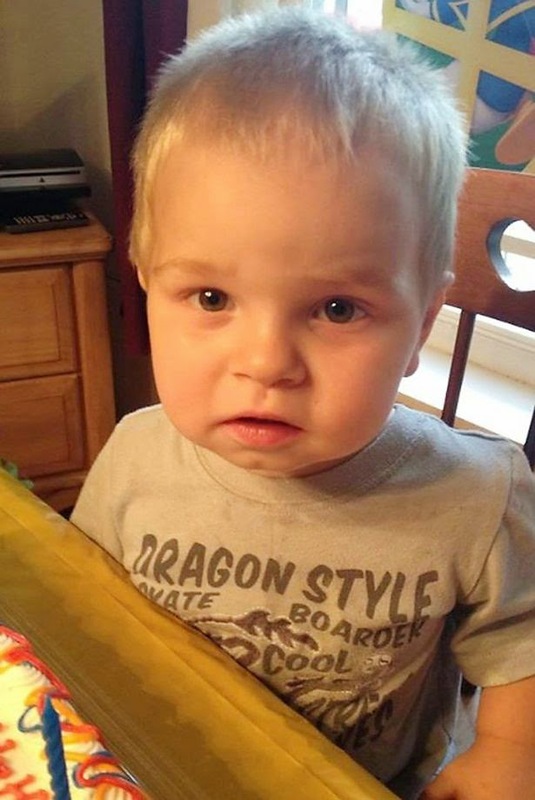 The parents said they began performing CPR but he was pronounced dead after arriving at a local hospital. "Kaleb had entered the vehicle at some point as the family was loading the vehicle to move out of the house. In a situation like this, where it looks like the gun was secured, they took reasonable steps, and you can lawfully keep a gun in a vehicle in a glove box. It was secured, it looks like in the glove box itself, and sometimes just bad things happen." The police said the parents would not face charges. "I don't think anybody can punish these parents any more than what they've been punished. This is something they will carry with them and live with the rest of their lives."